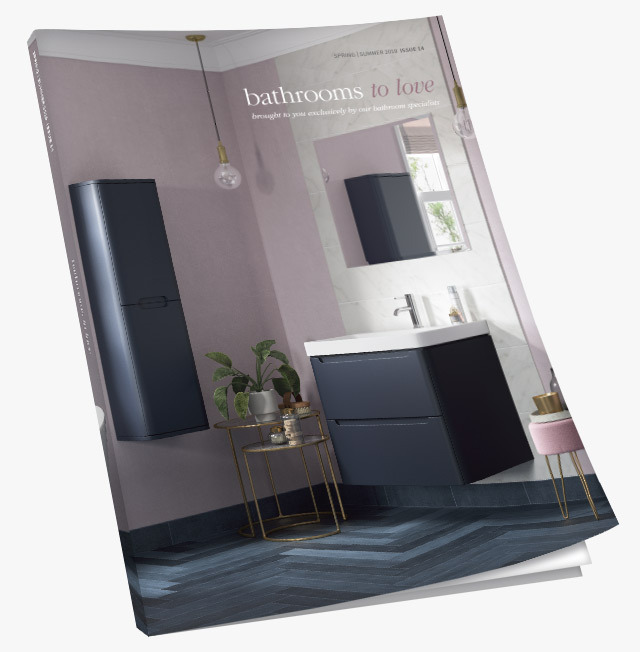 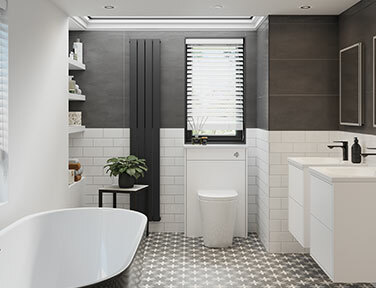 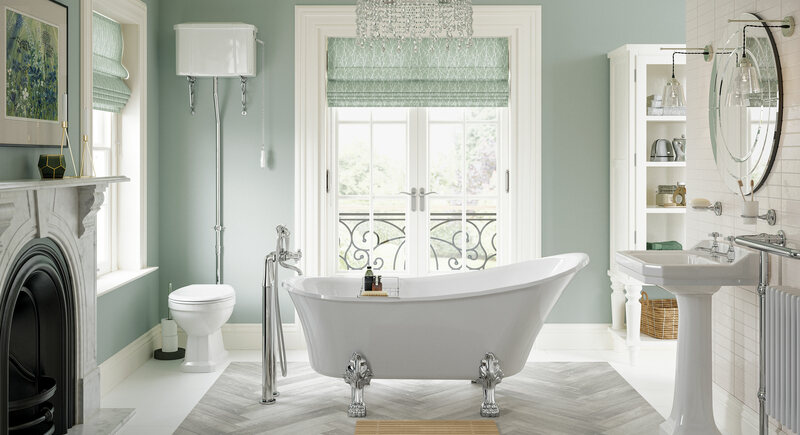 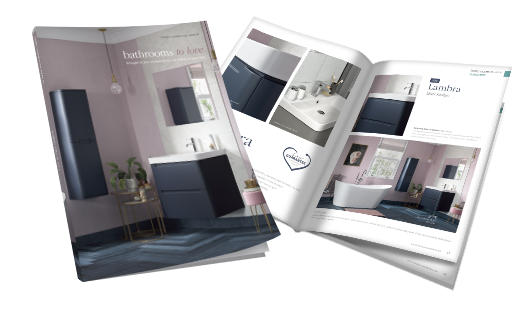 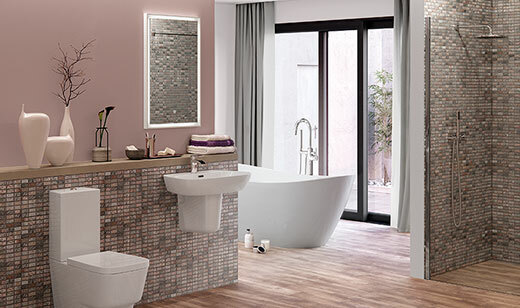 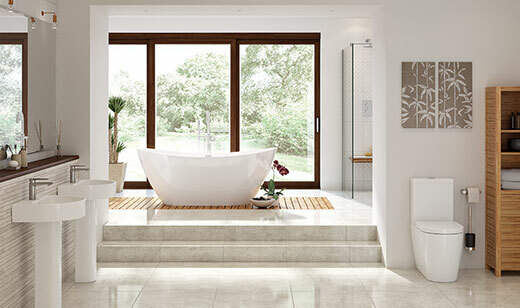 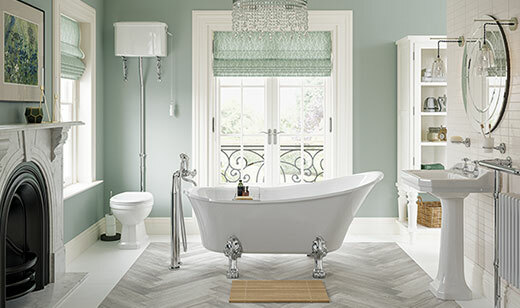 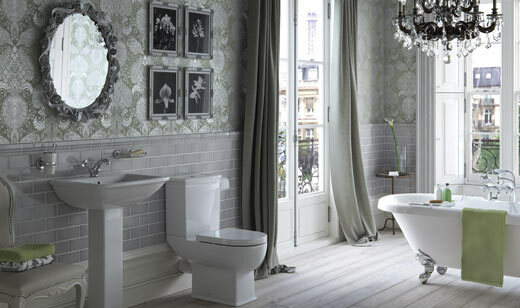 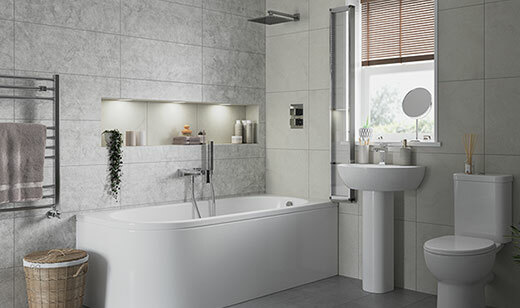 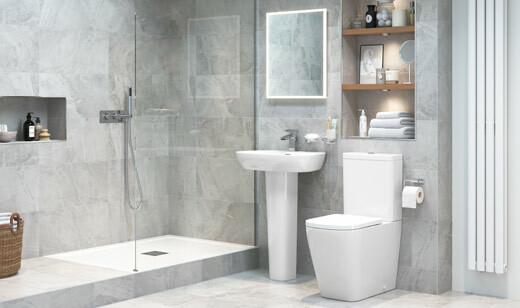 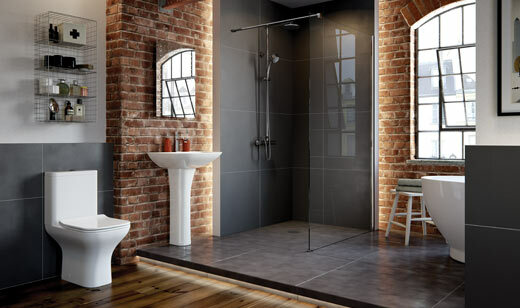 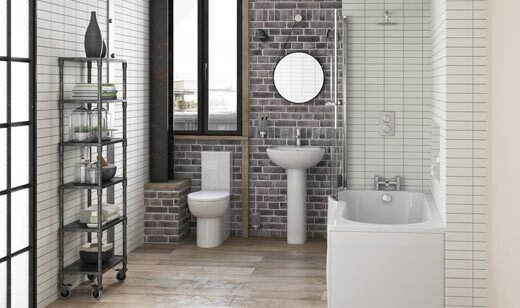 Sherbourne basin and full pedestal, Sherbourne high level WC, Bayswater Slipper freestanding bath and Eterno2 brassware. 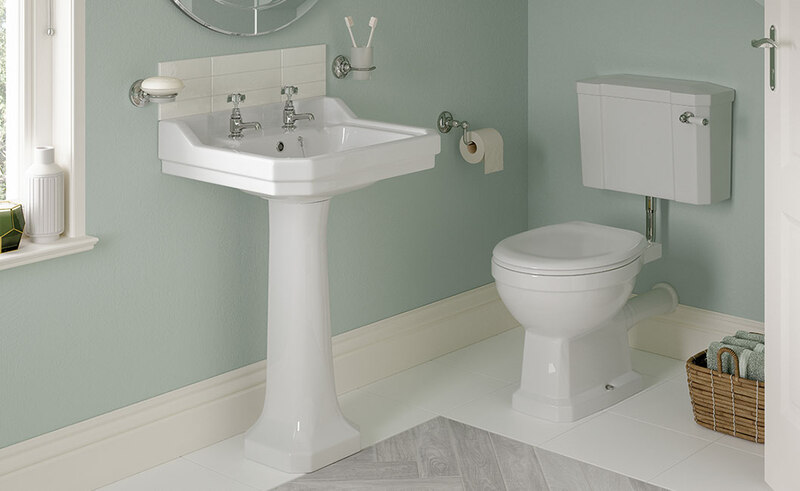 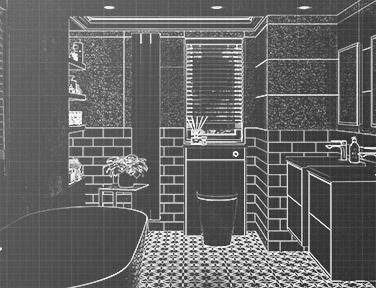 2 tap hole basin with full pedestal and low level WC (top). 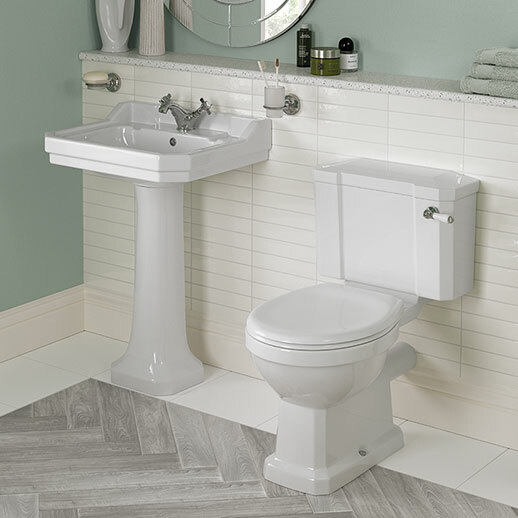 Close coupled WC and 1 tap hole basin with full pedestal (bottom left). 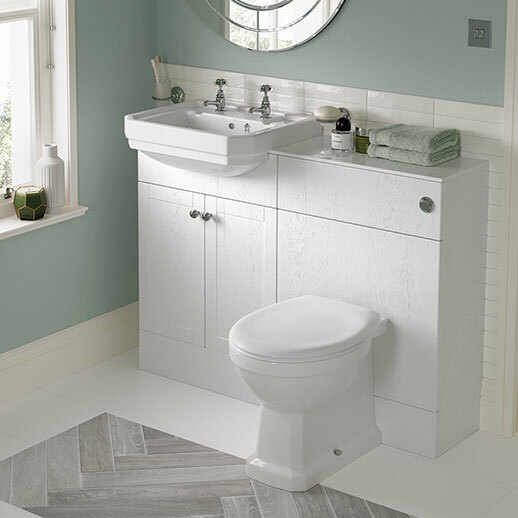 Cloakroom basin with 2 tap holes and bottle trap, close coupled WC (bottom right).